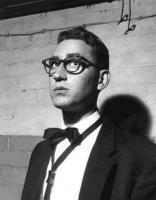 See the gallery for quotes by Lee Konitz. You can to use those 7 images of quotes as a desktop wallpapers. Labels don't mean anything to me. I'm trying to play as passionately as I'm able to. If they want to call that cool, that's fine. Just spell the name right, is the formula. You just keep playing. If someone special comes along and organizes it in a new way, then you'll have another approach and everybody will jump on it to try to learn. As long as there are people trying to play music in a sincere way, there will be some jazz. 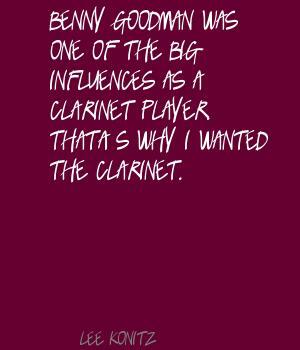 Benny Goodman was one of the big influences as a clarinet player. That's why I wanted the clarinet. I always felt as a horn player, a jam session wasn't satisfying enough for me. I should have been a rhythm section player, actually. I have been able to get a small audience. It's not the huge audience, but it's enough to make it possible to play. I appreciate that. I hear many extra-musical things somehow in Coltrane. I listen to classical music very much. There's a lot of jazz that I don't enjoy listening to. I love Indian music very much, but I haven't studied that specifically. 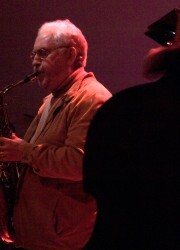 I understood that if I wanted to work, the saxophone was the main instrument. The clarinet was what we call a double. I wish that person outside would stop coughing. I'd like to feel that whatever I play is a result of whatever I've heard. In some ways Lester Young is the most complex rhythmically of any musician. He does some things which are just phenomenal. It's very demanding to make up your own music. Many people do think it's naive to improvise in front of paying customers. I'm not saying one way is better than another. Most jazz players work out their solos, at least to the extent that they have a very specific vocabulary. Names and theoretical things don't occur to me. If they do, I'm not doing my real playing mode. We all learn from each other, and I never really hung out with guys in that way, so I missed out. 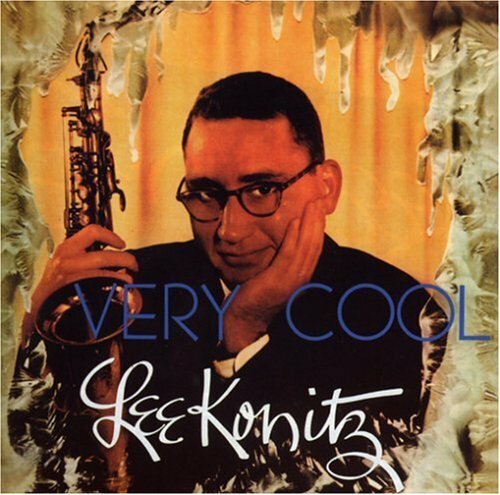 Much more quotes by Lee Konitz below the page. After playing now for 60 years, it's still very challenging for me to play a simple melody and have it clean and touch the reed at the proper time in the proper way. Bernstein grew up in my building in New York. He's a very, very fine player. When he was a kid, he came by to find out what was going on in the world of jazz. I could stop and say, Well that was a D minor, G seven, but I really don't want to know that. I just want to know that there's a combination of notes that makes a sound. I just completed a tour in Europe. I played every night. This requires traveling some days for six hours in a van or a train or a car. After six weeks of that, I checked into the hotel and just fell apart.